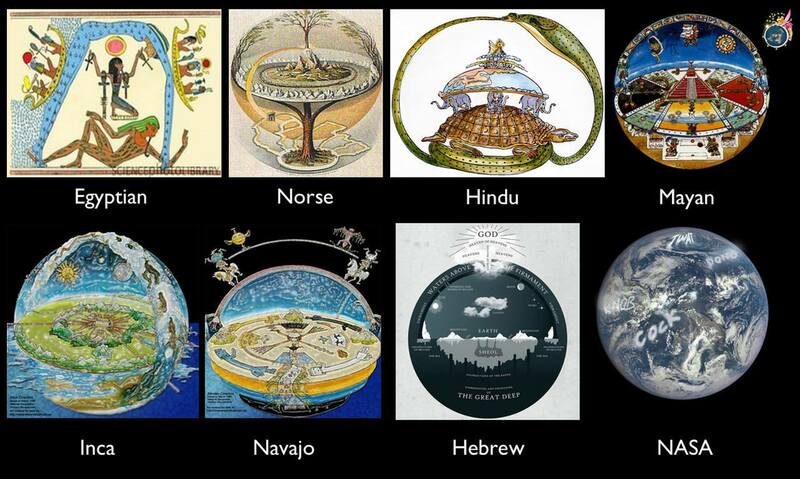 Flat Earth Truths to dream about…. #2 – The Blue Sky resembles “The Waters Above”. #5 – Lightnings are formed form Static Electricity. The SUN is under the clouds. Sun is moving but Earth is stationary??? Sun shows up at the same time in 3 different areas on earth at the same time. If earth were round, this would not be possible. Admiral Bird found more land on the other side of antartica. When we don’t want something to happen, if we think about it so often, it will happen. Talks about cataclyms and how they look today. 1:30:00 Some things to think about today’s world. 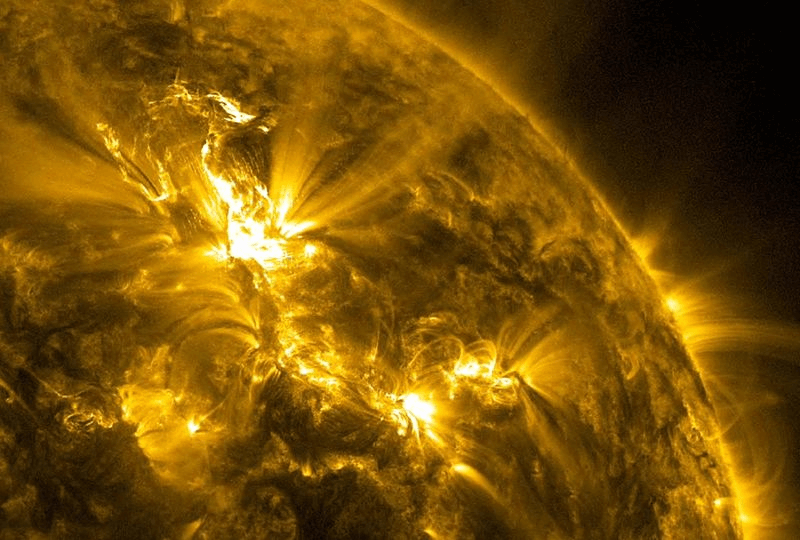 why the chemtrails in low populus areas … but masking the sun. Why the Walmart and Sam’s club closures? Vortices are high energy spots on the Earth. Earth energy is due to its electromagnetic field. NASA research has proved that the human energy field is tuned in to certain ‘Earth Waves’. 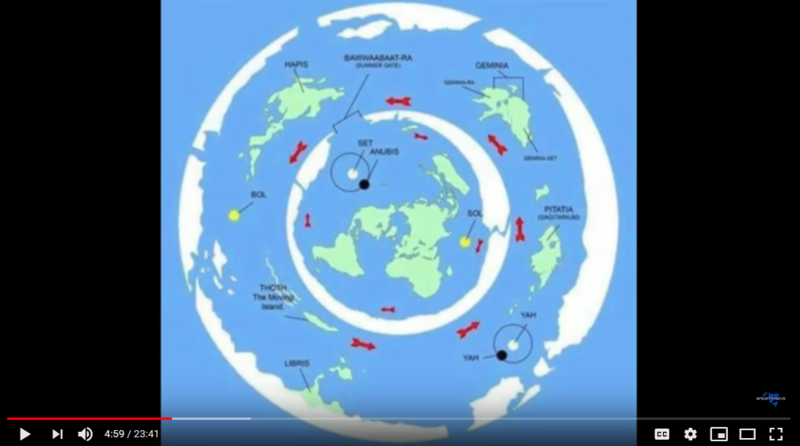 (See section Energies) The joining on the surface of the Earth are ‘hot spots’ of energy focus which we know as the vortices of the Earth, these are linked by ley lines. A Ley line is an energy line, some being of more importance than others. It has been stated by several sources including channelings from Edgar Cayce, that crystals were directed during Atlantean times at balancing the ley lines of the Earth’s plane, and maintaining stability of Earth. 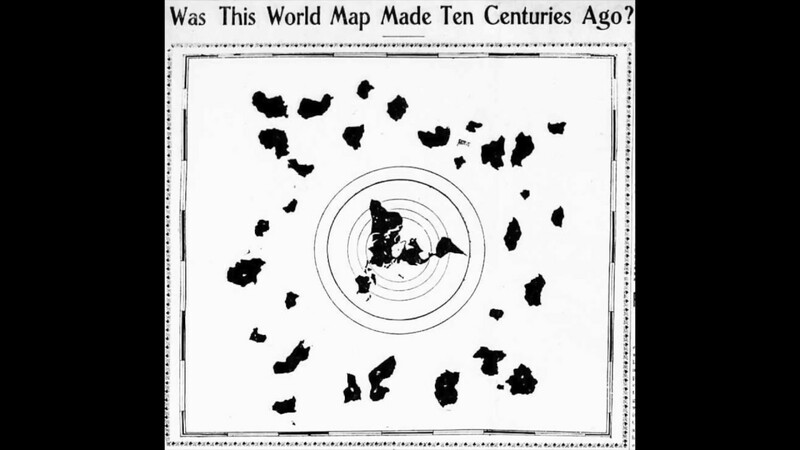 The Earth was moving on its axis with respect to the magnetic poles, just as it still does to this day. However, thousands of years ago it moved to a larger degree which contributed to the destruction of what was known as Atlantis. Crystals were also important to maintain a balance between other planets in the Universe, because of the importance of the vibration of planet Earth in relation to the sun and moon. It is worth mentioning here that during the latter part of the civilisation of Atlantis, misuse of personal power and mis-use of crystals were instrumental in its demise. Calgary– Canada, including the area surrounding Lake Louise and Banff National Park. Egypt in particular the site of the Pyramids. India many areas, source of the Ganges of great importance. Israel Masada and other areas around the Dead Sea. Russia. All Archangel districts up to Urals. Krasnoyarsk. Japan Osaka and thermal springs areas. Australia– this is a country of significant positive energy. There is also negative energy, including cities. Austria– most of the Alps and rivers, but not cities. China – Provinces of Guangxi and Guangdong-there is much negative energy elsewhere in this country. 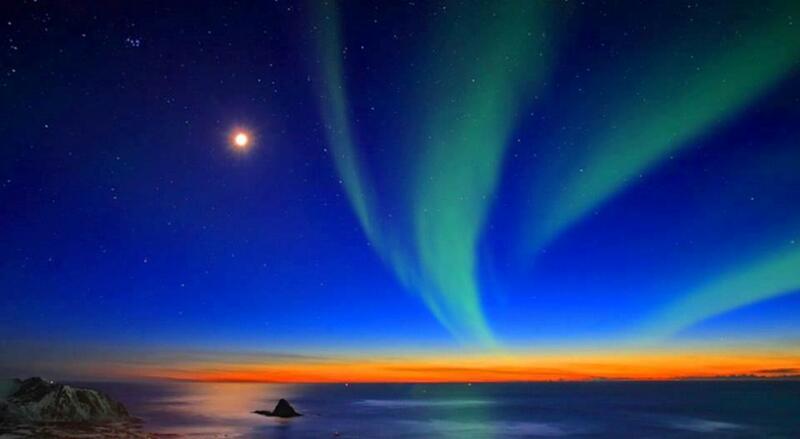 Iceland– the North West and South East have good vibrations, although there is also a great deal of negative energy. India– very significantly almost the whole of the continent of India (apart from some cities) has positive energy. Italy– Veneto area. Venice, Padua. Verona, Lake Como, Lake Maggiore-the latter of greater significance. All of Umbria. Netherlands. Much positive energy but no vortices. Switzerland– Large area south of Geneva this does not include Lake Geneva. South America– part of Andes from Machu Picchu to Lake Titicaca- powerful energies- this stops abruptly at La Paz. Turkey– a great many high energy areas. USA– San Diego, much of California, Lake Powell and Canyonlands to the right of Escalante Desert. S.E. corner of Utah Nth East Idaho, Wyoming, particularly Rock Springs area. China- Nth West is very bad. Astrakhan, Azerbaijan and Caspian-particularly bad, some of this is due to the poisoned Caspian Sea, but not all. ‘There are more places of negativity on Earth than positive. 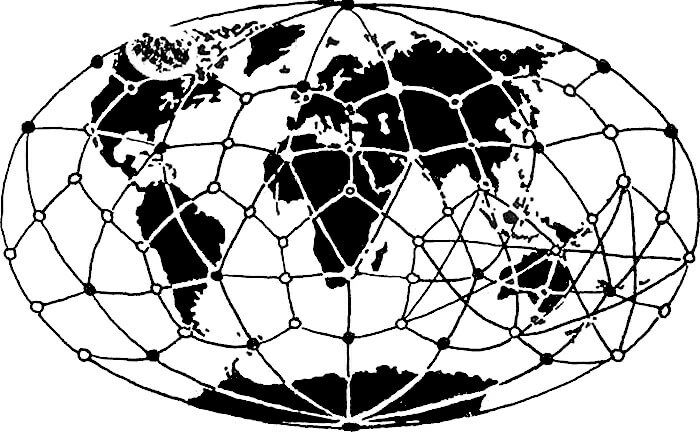 There are three main Grids that operate through and around Earth; the first we will look at is the Crystalline Grid, which links the Crystals in the Earth. The Crystalline Grid keeps harmony within the Earth plane and at the portals links the Earth to the Stars and Universe to have harmony with our neighbors in space. Just us when the meridians are free and flowing and so we are in good health within our body and with other beings, so to with the Grids in the Earth. The Ancients were aware of this and so constructed Pyramids, Temples, Standing Stones, Stone Circles to align this energy with the Stars and Inner Earth and hold the beam as it were, as well as creating dimensional gateways for beings to travel from other worlds. These beings are from different Star Systems, Universes and Worlds, and all have an agenda with Earth. Many of them having been here for eons, or actually starting the story of life on Earth. 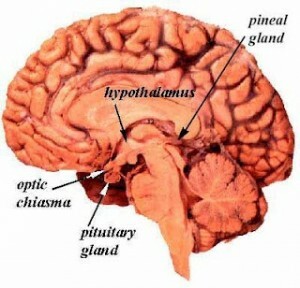 The Dragon people, who are part of the Reptilian story on Earth, along with the Snake and Lizard people, worked with the Crystals within the Earth to create the Crystalline Grid, this created life on the planet as we know it. They came to Earth from Altair when the Earth was still sonic winds, and so went and lived within the Earth, like many others in other Dimensions, generally 6th and 7th. The Dragon people connected the Crystals around the Earth and constructed endless tunnels with the Snake people. Crystals are electro-magnetic and the Grid that was created through their joining put out an electro-magnetic energy field around the Earth the drew moisture and then life started to gradually form as we know it. Because of the energy that this Crystal Grid gave off as Light, which is Life, life was able to be created with a more harmonious weather pattern, as the Earth stabilized and harmonized with the Sun and Planets. This created an environment that was then conjugable for many other Star people to travel to Earth to colonize here, as they were now able to handle living on the surface and cope with the gravitational pull. Some ET’s have more of a story here than others but now everyone is back to sort it out as we merge with the Sun, Central Sun and Greater Central Sun, we are all completing this cycle and ready to move on, beyond duality and the old dramas. These portals are spiraling vortexes that spin clockwise and anti-clockwise, this is how all energy moves in the universe and with anti-gravity from the Earth to the Heavens and with gravity from the Heavens to the Earth. This spiraling energy is Serpent Energy that is the life force; just as it flows up your spin as the kundalini or in your cells as the DNA that hold the codings of the creation story. As the Serpent rises within us so to does our DNA activate the memory of who we are and we become our Body of Light. We raise our frequencies to the higher dimensional worlds as the Earth is also raising hers to become a fifth dimensional planet. For some this is evolving way beyond the fifth dimension, at the portals are doorways into ancient civilizations that have moved into Light which are now becoming clear again as we make the dimensional shift. The Crystalline Grid known also as Dragon or Ley lines is working on all dimensions. In first density you have the physical Crystals and mineral kingdom, these same minerals are within our bodies and the Universe. So the Grid links all the major portals of the Earth, through the Crystalline Grid which resonates in Divine Light and as a window of Light and a doorway between the worlds, linking with the Light Grid on the higher planes. So creating a Gridwork on many dimensions, at major portals on this Grid Pyramids, Temples, Standing Stones and Stone Circles have been built. The Pyramids once kept the harmonious resonance with the Earth and Universe, their energy working at higher octaves of Light and all of us who have parallel world connections with them are now like Pyramids of Light bringing back the harmony. As we become as clear as a Crystal we have a harmonized resonance with the Earth, each other and the Universe and Cosmos. So we become the Crystal or Pyramid holding the Beam, and creating a new Light Grid as we open our resonance to that of the Crystalline Grid that also runs through us. At this time on the planet a whole new resonance is being anchored through us as clear crystals and through into the Earth. The Light Grid is in the Causal and Higher mental planes around the Earth as it links us all in our Higher/Inner Self, so this is fifth and sixth Dimensional. This Grid is used often when you meditate to connect with others who are ‘Lightworkers‘ or whatever name you want to give to those beings who are here in service to assist in the change in cycle and are either placed around the Grid at different locations synchronistically to anchor in higher energies at particular cosmic events, or who through meditation link and in their higher state of consciousness see and know all beings as whole, healed and divine. Thereby creating a higher level of consciousness to assist all humanity to make the shift. The shift is happening regardless of whether anyone wants it or not, just as day follows night, it is a cyclic event, a rather a grand one. This Grid connects everyone in their Higher/Inner Self level of being and often they are not conscious of what is happening as they work together often while asleep or through trusting in their hearts to go where guided on the Crystalline Grid to hold the energy. The Light Grid is also where you travel in your Body of Light on a Soul Level and can move through higher dimensional doorways and through Stargates and different doorways to accelerate your own growth. As well as for service to others and the bringing in of higher octave codings of Light to be anchored on the Earth plane. This is where even on a personal level you can communicate to others Higher Selves for the resolution of conflict or difficulties or to give them assistance to heal themselves, as once their Higher Self receives the energy it can be downloaded to them on the lower planes. The Solar Grid links the Golden Solar Discs around the planet, they hold the energy of the Central Sun and codings of Light that create life as we know it. They are also working at the frequency of us when we are unified and being the Creator Goddess/God of our true self, creating Heaven on Earth and working with the higher dimensional aspects of self as a member of the Council of Light, as the Golden Solar Disc is within our Heart, our Solar Self, one with the Central Sun. These Golden Solar Discs are still in higher dimensions hidden to the third dimension while humans still see Gold for power and greed, but are now activating around the planet, some have always been active and are linked in the Solar Grid that brings in the Golden Rays of divine love essence to the Earth plane. Since September 1997 the Solar Grid has been activated from Tiwanaku, ancient Lemurian site in northern Bolivia near Lake Titicaca that anchors the Sun God/Goddess. This has been able to happen since the Golden Solar Discs, one at the Island of the Sun in Lake Titicaca have been activated over years. They were fully operating in the last Golden Age and assisted the Earth to be aligned through its center to the Sun, Central Sun and Greater Central Sun. At that time everyone was their Divinity, but still in more Etheric bodies, we are now doing this again, but this time in full physical bodies, and so able to complete our sacred mission, the marriage of Heaven and Earth through our body, our Body of Light. In 1995 at the October Solar Eclipse the Councils of Light agreed to up the vibrations through the Discs, to the point where the Grid linking them world wide could be activated two years later. This of course is running in conjunction with the fact that we are almost completely at zero point, no magnetics and the higher frequencies, into No Time as we move fully into the 5th Dimension and beyond. Once we had to go to a major vortex portal for example the Pyramids, or Himalayas to move dimensionally and become activated and awakened. Now days because the Grids are flowing again, the energy is charging around the whole Earth and even sitting in your living room you are experiencing the higher energies. In the late 70,s early 80’s I was in India up in the Himalayas at an active Golden Disc. I did not know it at the time, but loved living there in a small village with a hot mineral pool in a temple bath. I was not into ashrams or gurus so just walked and sat all day in the mountains. When I came back to the west I became a vegetarian, taught myself to meditate and do yoga, as well as deciding to train as a Naturopath and fully getting onto my spiritual path, instead of wandering. I was activated without even realizing it, simply by being at this place. When I first started doing Grid work consciously years ago, my intention was that everyone would be able to experience that energy no matter where they lived. This is now very much a reality; by being in the higher energy field we naturally shift into that frequency. Portals are vortexes of spiraling energy points, like chakra or acupressure points in a human, this energy moves clockwise with gravity and anti-clockwise with anti-gravity. There are Crystals within the Earth there that receive and transmit energy, assimilate it and send it through the Grids, as well as storing, amplifying and focusing energy. …as well as many other major as well as minor portals. Many of these are classed as chakra points for the Earth or for the particular countries that they are in, there is sometimes differences of opinion on this, but regardless it is better to stay in your Heart and trust what feels right for you. It is not necessary to visit any of these places, but often you may be drawn there in a Soul Travel or in dream state. These places do hold incredible energy, activate, and awaken those who travel either physically or in Soul Travel to them. This can often be the case when people are not spiritually awakened but go there, then years later when they wake up consciously they realize that by going to these places it had an affect on their energy field and consciousness and would have been part of their awakening process. So accessing these doorways is very easy at the locations they are mapped onto the landscape on Earth, but when you are clear enough you can travel through these Stargates regardless of where you are. Most portals will call you when the time is right, and if you honor this you will receive an amazing shift in consciousness, one place I wanted to go to; Armanath Cave in Kashmir, where Shiva and Pravati come down and anchor immortality on the earth plane never happened. I was in Kashmir in 1994, 95, 96 and each time I asked my inner self if it was appropriate to go, each time I got NO. The militants shot dead pilgrims the first two times and the last time they allowed the pilgrims to go, but a great storm came and landslides killed 600, the place definitely wanted to be left alone. Or like Uluru the first time I went in 1989 I was totally transmuted in the way I did my healing work with others. Then on the Blue Full Moon and March Equinox 2000 I was invited by the Guardians again, made the star essence of the Southern Cross with some of the rock on the rock, then went walking over to the next location on it and all the tourist had gone, I was there all day on my own, these beautiful flowers growing on the rock called me over to go in the essence as well. Then the Aboriginal Woman on the inner planes called me over to this pool of water (it had been raining out there, which was very rare) and I was naked in the sacred water on Uluru for the Blue Full Moon and Equinox all on my own, I felt so incredibly blessed to be given this gift by the Guardians. So if you listen and go when guided it can have a profound affect not only on your life but also with your planetary service. Some portals are doorways to Light Cities and on the Wesak Full Moon May 2000 I was called to Mukinath 5,000 meters high in the Himalayas in Nepal bordering Tibet, as the Shambala energy came into the planet, this was a doorway for this to anchor on the earth plane. At other portals it may be time to return things for example one experience I had in 1996 was returning Moses Staff to the Sirian Light Ship in Kashmir at Moses Tomb. This was a very tricky situation as tourist were not allowed to go there due to the war going on, but I knew I had to, all my Kashmiri friends were convinced I would be killed or taken, but of course I got there against the odds with ease as I was supported fully with this mission in the higher dimensional worlds. Sometimes the energy may need to be closed, like the Pyramid in the Bermuda Triangle that was sucking in all the airplanes and ships into it. When on any of these missions it can only succeed when done in alignment with Divine Will, allowing and in total connection to Source and the Guardians of these places, Councils of Light and all others involved on all levels. Often codings from one place will be required to be linked to another by a ground crew person traveling the Grids doing this. There are also new portals being made very active as we are now aligned to the Second Sun and the Galactic Center such as at Rainbow Beach Queensland and Lake Waikaremona in New Zealand. Portals will also often have Light Ships or Mother Ships over them or they are doorways for ships to come out from the Inner Earth. Then there are the Serpent tunnels and these can only be traveled through when we are vibrating at a higher Light octaves, there are doorways into these tunnels at special locations such as the Potala at Lhasa, or through the Andes, or through India to Australia which are in a higher dimension and one can travel the tunnels through the Earth and into the Inner Earth. There are also cities and civilizations under the Earth at certain locations such as Mt Shasta, these portals are often at sacred rocks or mountains. So these portals are doorways for many dimensional worlds that interface with the third dimension. Some of the very old portals are also now transferring their energy to other new energy places; this is particularly true of the Northern Hemisphere ones as the Southern Hemisphere is bringing in the new energies. A lot of these old portals are still being fought over by beings still hooked into the duality dramas of Light and Dark, like the Sinai Desert or Iran – Babylon. Whereas the new energy portals operating in oneness and are hidden to most, as some people are still seeking to get something rather than being of service, trusting and holding oneness, so there is a major reshuffle going on at present and many astral dramas as this game of duality has its final throes. A lot of these new energy portals are not even sensed by people unless they resonate in unity with their being and all creation. The codings of the Living Library which illuminates from the Central Sun of our divine selves at that level of frequency is stored in our DNA, the full codings are 40,000 strands, rather than 2 strands as an enslaved human body, they are also found in our bones and the stones and crystals of Earth. The Crystalline Matrix of Light that we are as we awaken to our Divinity, and come from Love rather than Fear, we get Clear like a Crystal. The more we are clear the more we are able to access the full spectrum of the color coding of DNA to our Christ Light Body. We remember our multi-dimensional selves and higher purpose for being here on Earth. We open up our consciousness and expand our awareness, having inner vision, telepathic connection, awareness of other dimensions and worlds, and clear perception of the energies we are working with or are moving towards. The rocks and stones also hold the codings of the Divine Blueprint, as do we. Earth was seeded from countless galaxies and civilizations and all the information was stored in Earth, in rock and bone, and we as humans hold the key to the gateway of our own Divinity. 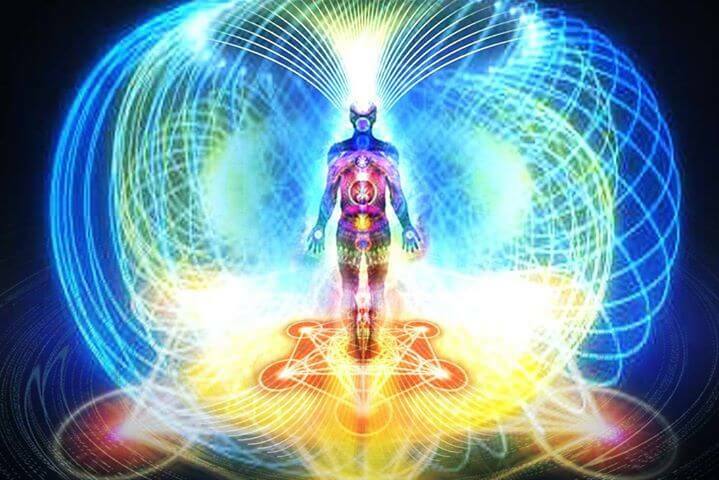 We are very incredible beings and our genetics when activated are amazing, when we come from the love that we are we realize we are a Hologram and we have created myriad Holograms of our self as we experience the furthest extremes of our love in a human body on Earth. We realize we are the Earth, there is no separation and what is the earth is us, even the Earth Changes are our changes so as we become at peace and unify in love the Earth also shifts in peace, its all up to us. Many of the rocks, and this includes mountains, rock outcrops or hills, standing stones and stelas are often very active already, or are becoming activated again, as we merge into the higher dimensions and the veils begin to disappear. They are gateways through into the higher octaves of Light, Light Cities, Councils of Light, Light Grid and dimensions. ULURU in the center of Australia is one such rock. It is the Heart of Australia, and the Solar Plexus Chakra of Earth. There is a Mothership there on the Inner Plane Planes, and many soul travel there to clear their emotional bodies, open up to the higher frequencies, and receive new codings of Light. It is a major point on the Light Grid, focus and doorway for many beings in the dimensional worlds. Uluru is also a major focus for planetary healing and a portal that links all the Grids, it is the sort of place that calls you. If visiting in a conscious way of honoring and surrendering, with a willingness to change and open up to higher Light codings, then you will experience a transformation. This is called Soul Travel and you can go there in your sleep, or while meditating or being still within. You simply go there, your intention takes you straight there, open up your awareness by simply trusting what you intuit is happening. You can do this as you go there awake, or the next morning after you have gone in the night. By meditating, simply align to Source through your Heart and Earth and see yourself there, trust what comes. Or if you choose to go in your sleep then see all your Chakras spinning and Light, and have the intention of where you are going before you go to sleep. You may want to ask your Inner Self to assist or other Divine Beings. In the morning or when you get a chance, tune in and see what comes up for you about your journey. You can travel wherever you choose in this way, be it to the pyramids, a planet or star, Council of Light or Light City. OLLANTAYTAMBO is an Inca sacred site in the Sacred Valley of the Incas in the Andes, Peru. There are many incredible examples of the power of these rocks, at one place on the site is a natural rock that is a doorway through into the Light City of AN. Which was a civilization from another cycle, that is operating at higher frequencies of Light and Love. AN uses the symbol of the Sun and Moon, and all civilizations using these symbols are connected to AN. As the energies got denser AN went beyond the veil, into the higher dimensions that appeared separate from third density Earth. Now as the veils are disappearing, as we once again merge with the higher realms, it is becoming easier to step through into these higher dimensions, or worlds within the Earth. The dimensions are no longer so separate, and we can walk through. Also at this site is a Cosmic Computer Rock, it has been laser cut like all the others that make up the site, but is now away from the site and so not disturbed. When two friends and myself connected with it, having all remembered coming in from the Stars at one point when the site was created. My friends remembered building the site, and the knowledge of how all the water was channeled. There was a stone channel of water next to the rock that came down the hill. As the rock was activated the water started to flow uphill with anti-gravity! It stayed like that and felt incredible to stand in. Next I laid down on the rock, my friends were standing on the hill above watching, and they said my body was moving, my head aligning to all the mountains around it. I felt completely stationary the whole time, but after making an attunement was shown the last cataclysm with the words very clear of how important it was that humanity get clear. Then I saw all the power places on Earth, one at a time, as they were realigned with the Cosmic Computer Rock. So called because on the higher levels it is a Golden connector of sacred geometry, and just like a Cosmic Computer, and major link in the Grid. Some other examples are rocks that have been specially carved into code keepers, aligners and unifiers of Solar, Lunar and Stellar energies and their cycles, and of Divine Energy. Like the Sun God/Goddess at Tiwanaku in the Andes, Bolivia. Stonehenge in England, the Stelas and Pyramids at the Mayan sites in Mexico and Guatemala. The statues of the Gods at Easter Island. Every country has pyramids and standing stones, a lot of these have been hidden by time and deteriorated, more recently still hidden by politics and power dramas. Crystals both physical and on the higher levels in mountains like Macchu Picchu in the Andes, Mt Kailash in Tibet, the Crown Chakra of Earth, and home of Shiva and Pravati. The Himalayas, Abode of the Gods, and the Andes, which are also doorways to the Councils of Light. You will find in your own locality a hill, mountain or rocks that hold higher frequencies of Light, and are doorways and links in the Grid. These places you feel drawn too, and just being in their energy is a transforming experience. 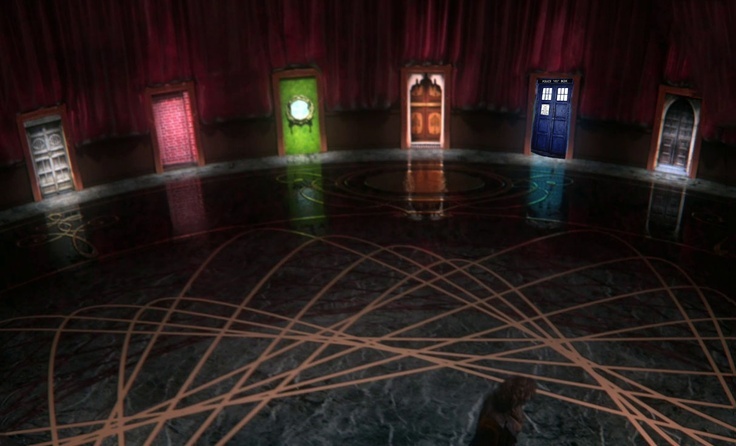 We all have a strong connection to these inter-dimensional doorways; there will be a place on the planet where you actually came in the first time, and a portal you will leave from. Your Higher Self uses these energies for your purpose on Earth. Even when you were birthed into this body your Higher Self was able to utilize the energy of the local vortex near where you were birthed to anchor in your Higher Self and multi-dimensional energies. This portal is linked up to your own soul story and has the energies that are in harmony with your vibrations. This is a meditation to do at a place that feels energizing or special to you. If you dowse you can check it out to see if it is a doorway, and if so which way the energies run, and where it is connected to on the grid. Most importantly just trust if you feel a certain place is right, it could be on top of a hill, at a river mouth, a certain place on the coast or in a valley or forest. You may wish to take Crystals with you and make a circle, medicine wheel or any other sacred shape you feel guided. You may also feel to take, candles, incense, water, flowers, any other crystals or feathers, herbs, essences etc. Always trust what you feel to bring, if any thing at all. Connect to Spirit, Earth, your Divine Self, the Source within your Heart, and the Guardian of the place, Guides, Golden Beings, and all Divine Beings in the One Heart, the Devas, Elementals ………….. Sitting with the spine straight, on the earth is preferable. Relax and deepen……. As it reaches to the top of the head it flows out the Crown as sparkling White and Golden, Effervescent Light…..Keep your awareness on the spiraling rainbows of Light still coming down from spirit all around you to the Earth and Base Chakra, then up through your center and out the top….. Be with this vortexing energy as it moves down through you and around you, then up through your chakras and Central Channel as you merge into the vortex…. Now become aware of the vortex within the earth you are sitting on as well…. You open up to all the vortexing energy through you, and through the Earth where you are….. This vortex takes you into the Crystal deep in the Earth where you sit…..
You merge into the Crystal and become radiant with Light through all your bodies…. as you open to the crystal clear Light within the Crystal… the Crystal is singing and vibrating in harmony with you and the Earth….. 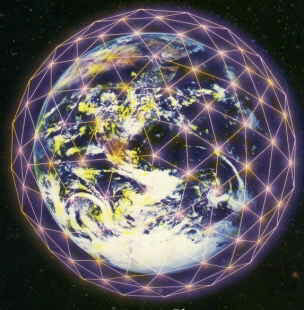 Connected to other Crystals through the beautiful Crystal Grid…..
You become aware of the crystalline energy as it moves out through the Grid around the Earth….the Earth is surrounded in this beautiful Crystalline Grid….. This Grid links into all the Grids within the Earth and beyond the Earth, circling it in the ethers… all the dimensions and grids are linked….. sparkling Light throughout all….. You allow Peace to be through the Grids and see all beings on all levels and dimensions open to their Divinity, Love and Peace…………. Then your Higher Self takes you to a special portal vortex somewhere on Earth…. Trust what ever comes to you as you travel the Grid……… Be aware of coming up through the Grid and into the portal your Inner Self has brought you to…….. Notice the geography and what type of portal it is. Is it a pyramid, stone circle, temple, standing stones, rocks, mountain, in the ocean, in a forest, at the coast, in a forest or by a lake or river?……. It is familiar to you, how does it feel?…. This place has a special connection for you, it maybe at your home, nearby, a place you have visited before, or somewhere that you may not have been in this experience……. Become aware of the place you have been taken too… feel the energy, sense your connection… allow yourself to merge and let it take you or show you what you need to experience now……………. Do you need to be open to its healing energy and allow it to flow through you?…………..
Is it important for your service on Earth, your mission in some way?……………. Do you need to take on the codings and share them elsewhere?……. 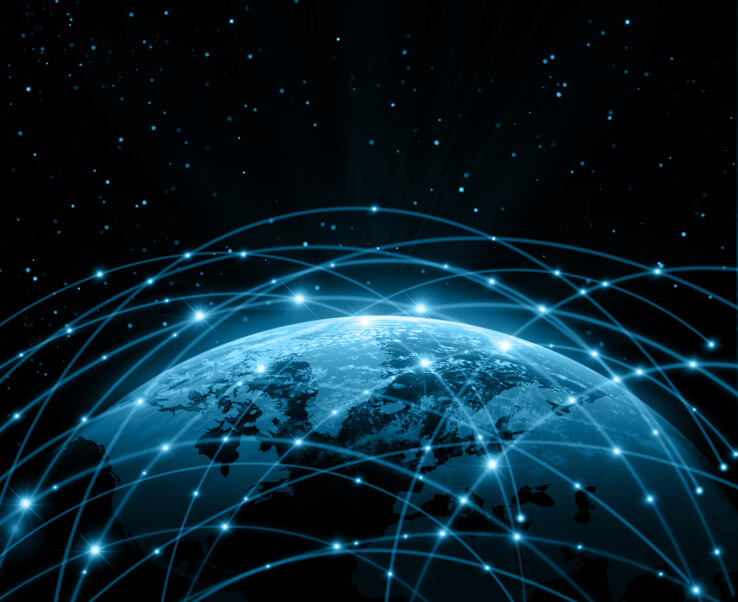 How is it connected with where you are now?…………….. When you have completed be aware of giving thanks to the place and Guardians and be aware of yourself back where you are seated……..
Be aware of yourself fully present in your body, or body of Light………………..
Now imagine spiraling Rainbows of Light, with all the colors of the Rainbow. The Spirals are moving both clockwise and anti-clockwise, but do not be concerned if you cannot see this, just know that it is happening. The spirals of Rainbow colors move down and around your body. When they reach to the Base Chakra and connect to the earth, the spiraling energy then moves in through the Base Chakra. Feel, sense or know all the colors as they move up through the chakras, from the Base up to the Sacral, Solar Plexus, Heart, Thymus, Throat, Third Eye, Crown. The patriarchal attitude leads a society to pursue high spiri­tual and intellectual goals; however, patriarchal societies, like the ancient Greek, Roman, and Jewish, perceived a separation between God and the world and between spirit and flesh. Western Civiliza­tion derives its philosophy of life primarily from those three cul­tures; and so Western man conceives of himself as divided within himself—separated from God and in contention with Nature, which threatens to overwhelm him. He places high value on his mind and spirit as being sacred, whereas his bodily needs are regarded as base and dangerous. He molds his environment and exploits it for his own purposes. He’s ‘realistic,’ intellectual, finds dignity in work, bases his self-worth on wealth and the power it gives him, and hems in his life with laws and boundaries to keep order. He glori­fies a strong, disciplined character by which he can subdue his emotions and hold to his ambitious drives. His culture is practical, rational, war-like, aggressive, and authoritarian. He has a hard time just being and enjoying. On the other hand, matriarchal societies, which are earth centered, regard the human mind and body as a unity and see God in every aspect of Creation. A man living in such a culture regards the universe as a continuum of intelligent orderliness, and he feels himself to be a drop in the cosmic ocean of life. He believes he should enjoy the caprices of life; and for him, dignity resides in mysticism, fantasy, play, and love. He allows his emotions and instincts to guide him, and he avoids ‘egocentric,’ purposeful be­havior toward others. He believes that to allow his head to dictate to his body is insane. The virtues of trust, nurturance, and surren­der are highly valued by him. There is a natural democratic sharing of decision making in his society, and everyone tends to flow with the stream of events of Mother Nature and human nature. He can enjoy pleasure without having feelings of anxiety. Unfortunately, matriarchal societies are not inclined to strive toward Egoic aspira­tions and building civilization. One is not better than the other. We have become largely patriarchal in our ways of being in the Western world. Some of those ways we will need to retain for the future culture. The Brotherhoods are quite patriarchal in their hierarchi­cal structure—this is how They’re able to get things done. There is room for discussion on some levels, but members of the Brotherhoods on the lower levels are not privy to information by which members on the higher levels operate. A Brother of a lesser degree respects the authority of the Brother of higher degree. Brothers are asked if They are willing to take on certain tasks, and They can agree or not agree. If a Brother does agree, He is given latitude to accomplish the task in His way, to the best of His ability. A Brother of equal rank does not interfere or offer unsolicited advice as to how the former could better accomplish His task. Elder Brothers are always available to offer Their wisdom, should He ask, however. Members of a matriarchal society are more trusting and respectful of one another. But trusting completely can lead people to an attitude of indifference toward the directions their government leaders are taking. The structure of the Lemurian form of government in the Nation of God will be far simpler than we have today; and Adepts will oversee its function. By the time the Nation has existed 1,000 years and Melchizedek returns to rule, there will be little, if any, divergence from custom in the established system, so the Citizens will not have to deal with a continual flow of bills to be decided or Executive Orders being issued. People of the future will tend toward concern for the individual’s freedom and natural rights rather than the current entrenched power of the coalition between the clergy and the wealthy elite. Church doctrine promotes obedience to authorities and uses guilt to make people accuse themselves when their lives go wrong rather than question the present system, which is designed to suppress the general populace. But in our efforts to learn to examine what actions our present-day authorities are taking and thus pull away from this suppressive patriarchal facet, we mustn’t swing the pendulum so far the other way as to defy authority altogether. We must be careful to retain the matriarchal concepts of love and respect for one another so as not to create conflicts. As stated previ­ously, without a system to organize human effort, there is no order and no progress. Determination to succeed gives one a will to cooperate with others and to work in an organization under authority. The mature person exemplifies the twelve Great Virtues alloyed with the wisdom to adapt and compromise flexibly if necessary in the face of inimical outside pressures. Eventually, all Egos will know the best way cooperatively to accomplish a task. As our culture matures and adopts more of the Lemurian way of doing things, we will rid ourselves of some technology but still retain enough to allow more time for education, being with our loved ones and spiritual development. Computers will still be used to a large extent. We will have a militia, so a military and armed weapons will still exist. And we will learn to love better, but still be willing to take a stand and to fight for our nation. Proposals will be brought before us for referendum vote, so each of us will need to be well versed in concepts of healthy government and thus be able to vote wisely. We must be willing to voice our well-thought-out opinions in a mature manner and take responsibility for the direction our nation is going. We won’t blindly follow those in positions of authority, but neither will we interfere with their right to perform their job as they think best. Instead, we will give them room for learn­ing from their errors and encourage them, as is the matriarchal way. The oppor­tunities for being in positions of authority will be drastically reduced since the institutional church will no longer exist, and government as we now experience it will no longer exist. Emotional maturity involves the ability to stick to a job, to struggle through until it is finished; and maturity gives rise to one’s attitude to give more than is asked or required in a given situation; it is this quality which enables others to count on one—it is reliability. We will be reliable. Rather than farmers attempting to overcome Nature by the use of chemicals, poisons and artificial means, we will work with Her by using only what we need and return­ing the rest to be recycled again. We will learn to convey to our mates our love needs better rather than having pets as a substitute. We will know our bodies so well that we will provide the food they need to enjoy maximum health, and we will be raised with love and dignity from infancy so that we won’t be carrying around psychological armorings that lessen our ability to be healthy. We will be well-adjusted persons, exercising moderation in everything we do—eating, drink­ing, working, playing. We will keep in close contact with the things that stimulate and inspire us, such as beautiful music, art, literature, love and spiritu­ality. Our forms of entertainment will not involve unjustified violence or sensa­tionalism, but will still be exciting and stimulating. In the Nation of God, Ad­epts, Who are master psychologists, will determine the content of all the public entertainment media, since that will be the most potent influence for uplift of mankind. We will cultivate sound living habits and constantly strive to develop techniques of self-improvement to attain healthier thinking and peace of mind. We will provide our children with the mental, emotional, neurological and nutri­tional stimulation they need in order to contribute positively to society. We will be playful yet practical, sociocentric rather than egocentric, trusting yet discern­ing. We will be tolerant, tactful and not argumentative. We will obviously be glad to be alive, and this will be reflected in our radiant joy and self-confidence. We would not think of dominating another although we will be dynamic and self-assured. We will not be goody-goody but will be just daring enough to be fasci­nating. We might even enjoy an off-color joke, but our tendencies toward adven­ture will not be foolhardy. Much discernment will be required as we leave behind the facets of soci­ety which we’ve learned do not lead to positive development of Egos and incor­porate those that do. This will necessarily involve frequently testing the scales of balance so as not to swing the pendulum too far either way toward patriarchy or matriarchy. We will likely never again face the challenging tests we now face in preparing this advanced culture, but our adventure will be daring and fascinat­ing. Many children seem wise beyond their years or like “old souls,” but some have said things that truly seem to hearken back to previous lives. Parents have shared their stories via social media; many say their children have talked about tragic deaths followed by happier lives this time around. 2. When I was a little girl, I lost [it] when I saw some guy at the grocery store. It was unusual, because I was generally quiet and well behaved. I never had to be taken out of somewhere for misbehaving, but we had to leave the store. When my mom asked what was wrong when we got in the car, I told her he took me away from my first mom and hid me under his floor and made me sleep for a long time until I woke up with my new mom. I then refused to sit in the seat of the car on the ride home, but insisted on cowering under the dash board so he couldn’t take me again. It freaked her … out, as she is definitely my biological mother, so obviously my ‘first’ mom. She said this like it was nothing. He was maybe 5 or 6 years old. It was totally out of the blue. Harvey had died before even I was born. Other than this common occurrence, my mom told me that she would constantly say things that my great grandma Lucy would say. 6. When my little sister first started talking, she used to say some really disturbing things. She used to tell us about how her old family would put things inside of her and would make her cry, but her Daddy eventually burned her so much that she was able to find us, her new family. She spoke about things like that from the ages of almost 2 to 4. She was much too young to have ever been exposed to any content where children, or anyone else could [experience those things], so my family has always thought she held memories of a prior life. 7. Between the ages of 2 and 6, my son would tell me the same story of how he picked me to be his mother. He said something about being with a man in a suit and picking a mother that would help him accomplish his souls mission. … We didn’t discuss spirituality … nor was he raised in any sort of religious environment. The way he described it was that it was similar to grocery shopping, that he was in a bright room with people who were lined up like dolls, and that he picked me. The man in the suit asked him if he was sure, he replied that he was, and then he was born. My son also had an early fascination with WWII era planes. He could identify them, their parts, what region they were used in, and the like. I still have no idea where he got that information. I’m a science gal, his dad is a math guy. We have always called him ‘Grandpa,’ because of his peaceful and gingerly demeanor. This kid seriously has an old soul. 10. According to my mom, when I was younger, I would tell her about how I had died in a fire a long time ago. I don’t remember that, but one of my biggest fears is my house burning down. Just being around open fire scares me. Becoming aware of your thoughts and feelings is the beginning of correcting yourself. Pause every now and then to hear what you are saying to yourself. One of the best times to hear your critical voice is when your emotional state changes. When you feel that you’ve done something wrong or when you think of doing or saying something, the voice within will give …you its point of view with the intention to protect you. And the self criticism will change your feelings. You : I think I want to write an ebook about my experience and sell it. Inner Voice : You want to write an ebook? Who are you kidding? You can’t even complete a letter well. Forget about it. Who wants to read it anyway? 2. Self Evaluation – Boldly Question the Inner Voice. Try to notice if your mind is replaying old recordings of whatever have happened once upon a time? Whose voice are you hearing? Is it yours, your parents or someone who used to condemn you? Ask your inner self what it is trying to achieve? Have a conversation with yourself and boldly keep questioning the remarks and judgments. Keep asking further questions with each answer until you reach a threshold and the inner voice give in. This is one of the ways to not only challenge the inner critic but also to change your limiting beliefs. 3. Use Different Words to Describe Your Experiences. Say something like, “Okay, here a little boo boo. I’ll do better the next time.” Saying positive things will help you change your state, laugh at yourself and lighten things up. When you are in a better mood, you can think well and will find the right solution. Use a journal to monitor your self talk and when you do the self evaluation. It enables you to notice the criticisms that you have been saying to yourself and see the pattern. It also helps you discover the triggers, your beliefs and value system. 5. Accept that There Is No Failure, Just Feedback. 6. Acknowledge Your Strengths and Previous Success.